The Cavalry have overturned a dismal 6-10 record to an intimidating 19-13 record. Photo: Ryan Schembri/SMP Images. 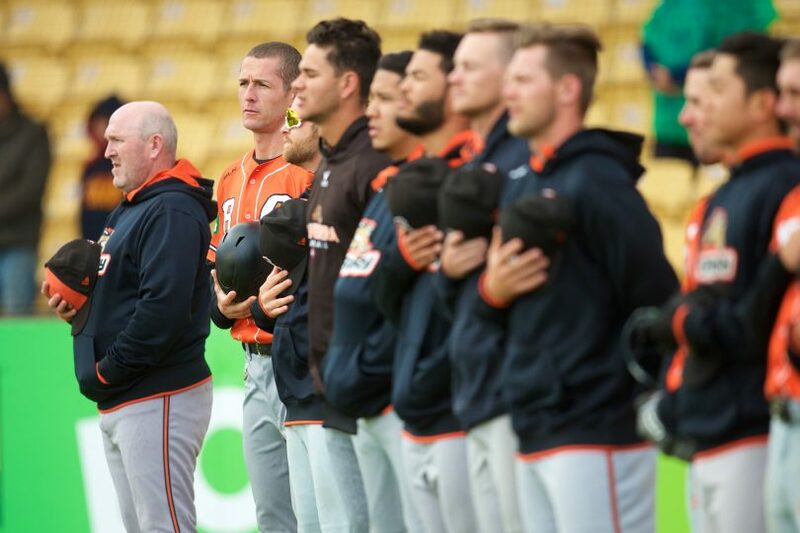 A month ago following a 3-1 series loss against defending champions Brisbane Bandits, the Canberra Cavalry was languishing in third place of the Northeast Conference, with a 6-10 record, faced with a daunting away trip to Adelaide to face the Bite. Fast forward to today, the Cavs have a 19-13 record after winning 13 out of the last 16 matches, including a devastating home series sweep against the conference-leading arch-rivals, Sydney Blue Sox. The 4-0 series sweep sets up a blockbuster road series against the Bandits this weekend, with the two sides sitting on the ABL Northeast conference ladder with an equal record. The Cavs’ destiny is in their own hands, and whoever takes the series at One Hub Stadium will have the upper hand heading into playoffs. Cavs manager Keith Ward said the crucial series against Brisbane away from home and a home series against Perth Heat was the perfect warm-up to finals baseball. Ward said he wasn’t surprised by the way his side is currently playing and has put their current form down to three things: momentum, work ethic and character. “Things didn’t go to plan at the start of the season but now we are starting to perform the way we expected to perform,” Ward said. “I keep reminding the guys that where we finish the season is in our own hands. We do not need to worry and keep looking at the scoreboard to see what other teams are doing. 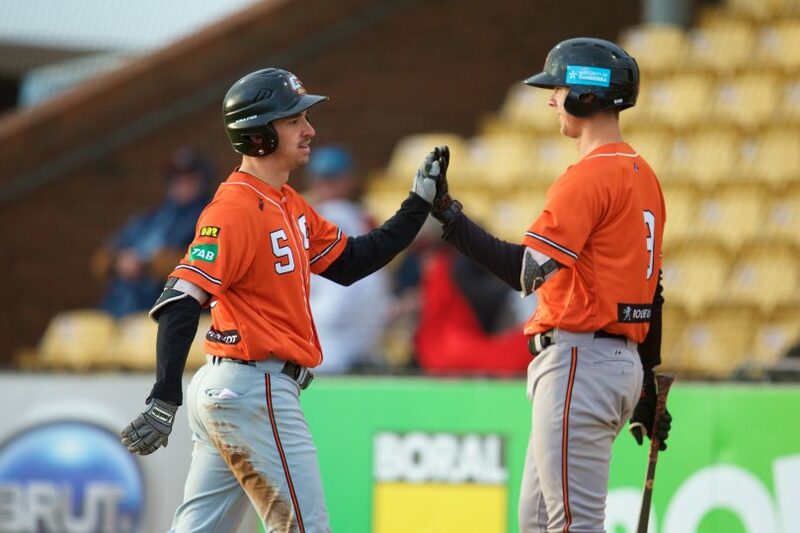 Canberra Cavalry is in a rich vein of form as they head into the penultimate round against the Brisbane Bandits. Photo: Ryan Schembri/SMP Images. Momentum is running through the Cavalry’s veins as they head into the penultimate series, with the belief this side can still end the season on top of the conference with home finals to come, thanks in part to stellar pitching and some mindblowing hitting from one of the Cav’s newest recruits, Zach Wilson. Wilson hit three home runs against the Blue Sox, taking his total to 11 home runs, just five short of the league record with the former New York Yankees prospect hitting with an average of .336. “Wilson was the first guy that we signed during the off-season based on this kind of form that we had seen him produce during his career,” Ward said. “We are starting to see the type of hitter he is and what he can deliver to the team.